Today, we are excited to share that the FINALCAD app for Windows 10 is available for Tablets and PCs to download from the windows store. You can download it here. Designed to run quickly within Windows 10 and with the most up-to-date features, FINALCAD built a new experience making all our modules (blueprints, defects, controls, structural work progress & secondary work progress) available on Windows OS. FINALCAD is the only construction app for the field available on all OS and all mobile devices with the same set of features and a native design for a consistent user experience on iOS, Android and Windows so everyone has the same benefits. 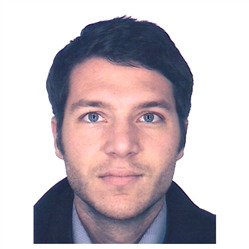 “What’s really nice about FINALCAD is, we had iPads on our end and subcontractors had Microsoft Surface tablets, yet the app is available on all kinds of devices, so we were able to easily collaborate with all stakeholders and share more than 5,000 photos and more than 50,000 observations on this project.” Daniel Maksimov, Project Manager at SEMAPA. FINALCAD app uses Windows 10 power to provide a quicker experience thanks to a complete back-end refactoring. This new version comes also with a brand new design which is a step forward from a user interface and user experience perspective. There is no reason that field workers don’t get the app they deserve! 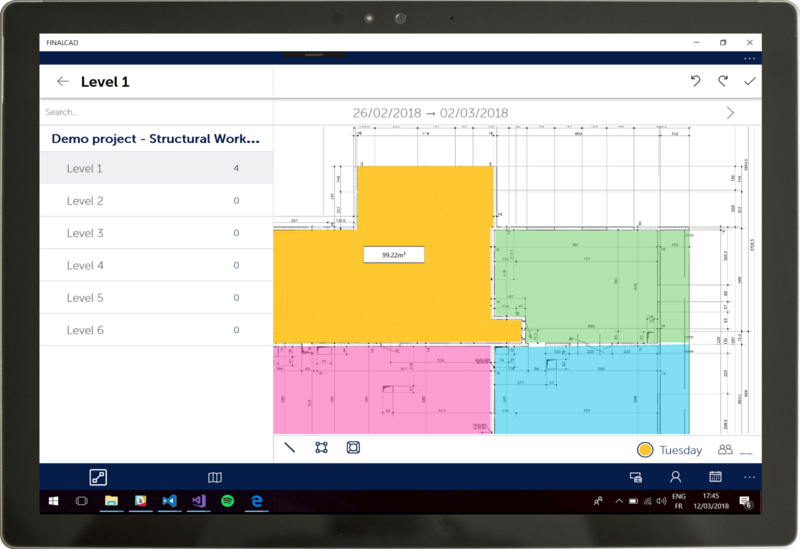 Navigate quickly within your building using the list of areas on the left panel or directly at the top of the screen using dynamic sectors and areas on the blueprints. Pin your issues and quality controls with precision directly on high definition blueprints. Get a complete report of all your observations to know to which area or contractor you should pay attention to. The complete revamp of FINALCAD for Windows enables users to take advantage of all the power of the app. So, you can make better buildings at lower cost with the leading construction app for the field used in more than 100.000 construction sites around the world. You can check here for more information about our products or here to get in touch. The new app is 3 things in one: a new back-end so that the app run faster, a new design and new set of features to use all the power of Windows 10. Use different layers (electricity, plumber, architect, …) for each blueprint so you can pin issues or controls with more precision and collaborate with everyone involved on a construction site depending on its tasks and contribution. You can follow your Structural Work Progress on site with creating your planning easily and design your formwork rotation plan and following live progress. You'll get automated reports for daily briefings, an automated calculation of concrete volume to order and collect data to get yours production ratios up to date to improve oneself one construction site after another. You can create & assign tasks to contributors and follow the progress of each task. A subcontractor can also declare when one of its tasks is delayed since he might be stuck because of another contributor delay. On top of that depending on your access rights you'll get a complete report of where all your tasks stand. So that you know what needs to be done by who. Use the search bar to look from any view of an issue, a control or a task and get an instant answer thanks to our search engine. flash a QR code to identify an area or the position of an element. We can’t wait to get your feedback. You can also contact us to have a demo or get more information.